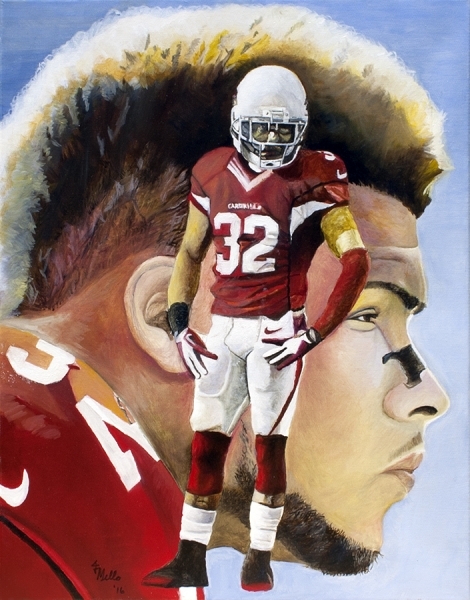 Honeybadger – The nickname given to Tyrann Mathieu of the Arizona Cardinals. 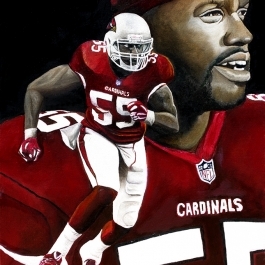 The former LSU Tiger is captured in this unique oil painting by artist Jim Mello. 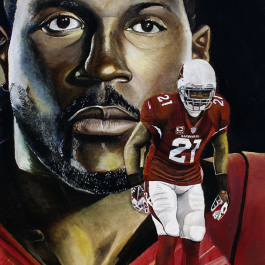 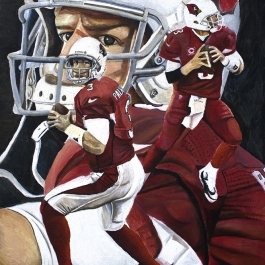 It captures the pro bowl and NFC Western division defensive back in this football painting as he hopes to help lead Arizona to the NFL Playoffs and an an eventual Super Bowl appearance.